Some processes and working conditions are prone to explosions. To maintain a hazard-free environment, you need components – including a pressure measuring device – that are either intrinsically safe or explosion-proof. As it’s not recommended to mix the two types, plant operators need to decide which protection method to use for their specific application. 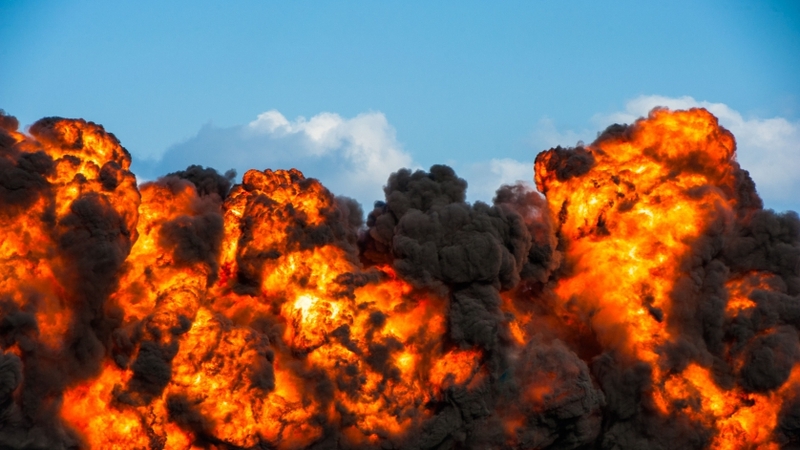 Many applications in a variety of sectors work in explosion-prone environments. Oil refineries, mines, and chemical and petrochemical plants, for example, routinely use highly flammable and/or combustible products. In these cases, a spark, flames, or even just hot gases can cause an explosion, resulting in dire consequences for human operators, the environment, and company finances. That’s why it’s so important to select the appropriate pressure measuring device for applications where explosions may occur. An intrinsically safe or explosion-proof pressure transmitter can provide the protection you need, but it’s one or the other. Mixing both types in individual applications is not a good practice. So how do you decide which one to use? Intrinsically safe pressure transmitters work at low currents and low voltages. The power supply is placed in a safe location away from the hazardous area, and a Zener diode barrier regulates the power that reaches the pressure transmitter. Low power ensures that the electrical and thermal energy in the transmitter is limited to levels that will not cause ignition. In other words, this type of pressure measuring device does not allow the conditions that generate an explosion. Explosion-proof pressure transmitters, on the other hand, assume explosions will occur but is designed to withstand them. These pressure measuring devices come equipped with a protective enclosure that prevents the escape of any flames, sparks, or hot gases that are generated. In other words, explosions may still occur but are contained within the transmitter and the wiring enclosures. Which type of pressure measuring device you choose depends on the particulars of your application. Which media do you work with? What are the flammable and/or combustible products in the process? Where will the pressure transmitter be located? What are the available space and power requirements? One factor to not consider is the unit price. While an intrinsically safe pressure transmitter can be less expensive than an explosion-proof one, you have to factor in the cost of the barrier needed for this device. An explosion-proof pressure transmitter has the extra expense of rigid conduits and conduit seals, but it doesn’t need a separate protective barrier. Cost-wise, both types work out to be roughly the same when properly installed. Intrinsically safe pressure transmitters, such as WIKA’s model IS-3, are ideal for space-constrained, hazardous areas in oil and natural gas applications, chemical and petrochemical processes, fracking systems, and machine building. Explosion-proof pressure transmitters, such as WIKA’s models E-10 and E-11, are appropriate for the higher power needs of certain application in drilling platforms and pipelines, refinery and petrochemical processes, borehole monitoring, and gas compressors. WIKA’s intrinsically safe or explosion-proof pressure transmitters have stainless steel wetted parts and cases. Both types are designed for harsh media and are resistant to vibrations and pressure spikes. All WIKA pressure transmitters go through extensive quality control and calibration, and are domestically and internationally certified (ATEX, IECEx, EAC, CSA). Model IS-3 pressure transmitters have SIL 2 rating, and models E-10 and E-11 are FM approved for class I, division 1 for hazardous areas. When it comes to protecting your application from explosions, WIKA’s intrinsically safe or explosion-proof pressure transmitters have what you need. Contact WIKA for expert advice on which pressure measuring device is right for your application. I joined WIKA in 1999 as an Applications Engineer specializing in Electronic Pressure Measurement. Since this time, I have held several positions actively involved with Sales and Support of the Electronic Pressure Measurement product line.